Another great museum Lindsey and I had an opportunity to visit this weekend is the Photo Antiquities Museum in Pittsburgh. It's only two floors of a row home, but what a collection they have! 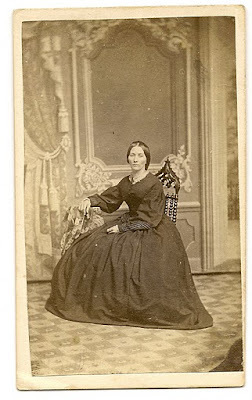 The diversity of photographic types and equipment from all eras, particularly from daguerreotypes to cabinet cards is impressive. We even got a chance to see a collection from the archives focusing on Civil War Era photography in Lancaster, which is the emphasis of Lindsey and my fledgling collection (I used to buy her CDVs frequently when we were dating...and had some disposable income). We hope to have an opportunity to contribute to interpretive efforts there in the future, as there are rich resources at the museum with much potential. If you're in Pittsburgh, this is another hour or two well-spent.